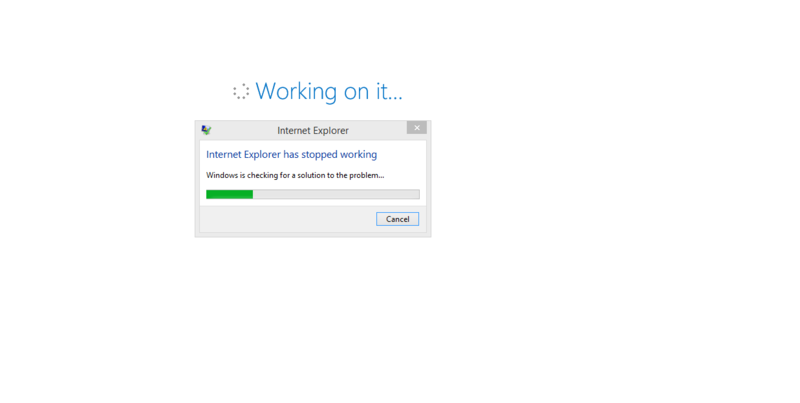 Hi When I try to access my list in IE 11 from SharePoint site. The browser breaks and throws this error. Looks like disabling add-ons helped you. For me the specific add-on I had to disable was "SharePoint Export Database Launcher" and that fixed it for me. Disabling add-ons worked, but caused other issues. I found on another site where they stated to run IE as administrator. That is working for me for now. In our case, after installing Office 2016 our users' browsers crash when launching a SharePoint site on SharePoint Foundation 2013. Our browsers did not have the "SharePoint Export Database Launcher" add-on. The event logs show an IE crash / and reference: ucrtbase.DLL. I also didn't feel rolling back to Office 2013 was a "fix", just a temporary work around. I wound up troubleshooting this all the way down to the GPO we had in place controlling IE settings for our entire user base. Open Group Policy Mgmt, then edit the policy controlling your IE Settings. Expand User Configuration, then Policies, then Administrative Templates, then Windows Components. Next, expand Internet Explorer, then Internet Control Panel, then Security Page, then select Intranet Zone. Locate the setting Turn on Protect Mode, and set this to Not Configured, or Disabled. Close Group Policy Mgmt Editor, ensure your policy updates, and force your user(s) to gpupdate. 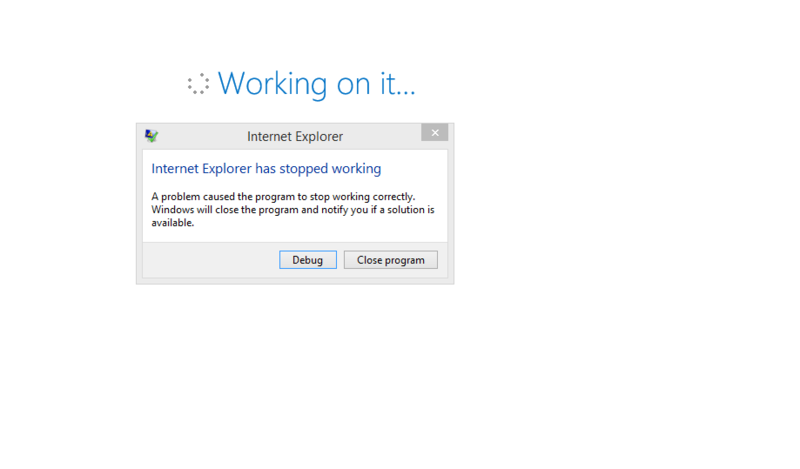 Launch a new IE browser and see if that resolves the issue. You have Office 2016 Click to Run installed version 16.0.6528.1017 (March 16, 2016 first release channel) or greater and IE11 and your SharePoint side is in an IE security zone that has Protected Mode turned on. When the above is true and you navigate to some SharePoint web pages (like a list), IE will crash. Disable protected mode in the IE security zone. This issue should be resolved in build 16.0.6911.1000 or later of Office. Use 64 bit IE for SharePoint sites. Not the answer you're looking for? Browse other questions tagged sharepoint-enterprise internet-explorer or ask your own question.